GRE Score Percentiles - What Does Your Score Mean for You? Whether you took the old or new GRE, you’re probably wondering what a good GRE score percentile is, and what you should aim for. In this post, I’ll also address some of the most frequently asked questions Magoosh has been getting. These questions concern the three benchmarks: the 50th percentile, the 60th percentile, and the 155 Verbal/Quant score. And of course, I’ll show you the current Verbal and Quant GRE score percentiles (using the ETS’s GRE percentiles most recent data). Let’s get to it! By their very nature, no GRE score percentiles or GRE section scores are created equal. Many degree programs especially favor those 50th and 60th GRE percentiles. Similarly, many graduate admissions offices like to see you reach that 155-point benchmark. 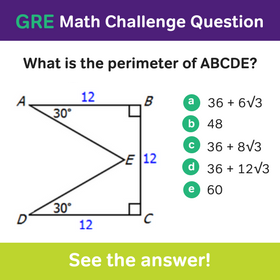 To get an idea of how this works, let’s look at a few example standards for GRE percentiles. The Economics program at the University of California Davis currently requires 60th or higher GRE score percentiles in Verbal, and at least the 70th percentile in Quant. Or, as another example, Harvard’s Graduate School of Education advises a minimum of the 50th percentile for Verbal, while Quant scores can be as low as 30th percentile. For a detailed and a bit complicated breakdown of GRE percentiles by major, see pages 26-29 of the official GRE Guide to the Use of Scores. 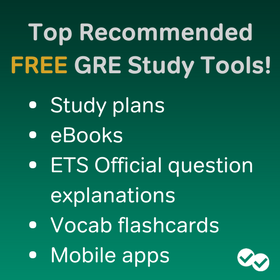 Though we’ve updated this post to contain only the most recent information, the ETS has you covered when it comes to finding those old GRE percentiles. On their official website, you can find a concordance table that compares old GRE scores to new GRE scores. This table will also help you understand how old GRE percentiles relate to the newer standards. So be sure to check out ETS’s old GRE percentiles vs. GRE percentiles 2017 table! And if you’re looking to improve your GRE score percentile, think about giving Magoosh GRE prep a shot. You can start with our free GRE Prep App and see if a little extra dedication to prep helps your confidence. Good luck! About how many questions can you miss on the verbal and quantitative sections in order to obtain a score in the range of 150-155 in each section? i have one week left to give my GRE. Iam not doing well on verbal and analytical section. In verbal I think iam not good in reading comprehension and in AWA, i always feel Iam short of ideas.Can you please help me with some good sources which can guide me in the next week to get a good score. Also my college is asking for a score more than 50 th percentile which i guess requires 300 marks in total. I have my own scenario I would love for you to advise me on. I am going back to school after a lengthy hiatus to study political science or history (still deciding). I know I can score well on writing and the verbal section, but my quantitative score is going to be VERY low- and frankly, I don’t even want to bother cramming all that math garbage into my head (nothing personal for you math lovers, but I am a creature of the Humanities!). Do you think programs will look down on my low quantitative scores, even though I hope to encounter little to no math during my graduate scholarship? I scored a 150 on quant and a 157 on verbal (after 5 years outside of academics not doing math) with a score pending for the AW. I am trying to get into an environmental studies or food studies PhD program. i concede that my quant score is low, but I will have my previous MS in food science, a published work, strong recommendations, and previous 3.5 GPA. Should I retest? My GRE Score is 304 (VB-151, QT-153), AW is still awaited, My toefl exam is scheduled in Nov,13 (Hoping for 100 above), Can u please suggest me that whether I should go for another GRE test. Hey Tripti! Unfortunately I’m not extremely familiar with the PhD in Marketing programs, particularly at those schools. Try to reach out to the schools to see what information you can find! In need of help. I scored 313 on GRE (V 154, Q 159, AWA 4.5). I am looking forward to PhD CS/MIS. There is lot of info on MS and required GRE scores but unfortunately not much info on PhD. Can these scores help me get a decent University. I have 4 years of Work Experience as a Test analyst in an US MNC. Should I retake GRE? That would be really difficult for me though. Please advise. I am looking to pursue a Masters in CS at USC, GaTech, Rutgers-New Brunswick and University of Florida- Gainsville. Could you help me out, whether or not my scores are appropriate for the universities where i wish to apply. I am trying to figure out what my GRE score is worth. I got Q163 and V159. GPA3.7. I want to apply to a graduate program in bioinformatics. Where can I find information regarding average GRE scores in different universities in this subject? Do Engineering Colleges give a higher weightage to Quant scores? eg. If i want to pursue an MS in CS, and have a score of only 154 in verbal, will it affect my chances of getting in, even with a good score in quant of 168. Also, my essay score is pretty good, i got a 5.5/6. Will that in any way help compensate for my low verbal score? It looks like your table doesn’t match the concordance ETS table. Just an FYI. Hey Chris, a score of 152 you listed on your table as 52%. But on the ETS it is listed as 49%. Does ETS update their ranking or did I miss something? Hey Adil! It’s fixed now. Looks like they updated it slightly. Thanks! I just took the GRE and scored 158V/158Q, I want to apply for an MBA program at probably the top 10 business schools (Harvard, UPenn, Haas). GPA: 3.6. Should I take the GRE again? I’m not sure what the averages are for Business school, I see a lot of different #s. What score do I need to break in order for me to have a shot at these schools? I know there are many other factors that determine acceptance, but just score alone, what does my score mean? Thank you for this blog and your insight. Extracurricular: Very involved; SGA President, Fraternity, etc. What do you think about my chance getting into a top MBA program? My number one choice is Harvard! i got a 304(158quant+146 verbal) on my gre recently. Hey Rakesh! I unfortunately don’t know what it will take to get funding in those schools, as even in the lower ranking unis, funding for CS can be hard to come by. Good luck though! I just completed the GRE today and received a 154 in V. and a 147 in Q. Obviously, I do not know the scores for the AW section yet. I will admit due to an overly busy schedule I was not able to put in as much study time as I would have preferred. I feel as though I could have scored slightly better in the V, but as for the Q I know I gave it my all. I am in the process of applying to Library and Information Science programs some of which require the GRE and others do not. Interestingly enough the program that requires the GRE does not list any necessary scoring ranges. I have an unbeatable undergraduate GPA–4.0, so there is some disconnect here. I am not sure if my performance was a result of having too many irons in the fire, anxiety, or both, but my question would be do you think I should retest? I take myself very seriously as a student and do not want my scores to deter any admissions boards members. I would really like your feedback. I got 155V 168Q (still waiting for the AWA), but during my test the computer crashed 3 times! I think these problems damaged my verbal score (since when they let us continue, I had to read the texts again and lost lots of time). Do you think this verbal score will hurt my chances at a top10 in neuroscience/neuroeconomics? I’m a internatinal student, so maybe they don’t expect a high verbal score, but I don’t know exactly how this works. Do you have any hard data on school reported GRE scores for Masters vs PhD students in public policy/admin? It is hard to discern this from sites I have looked at. I got my master’s many years ago and am looking to pursue a PhD in the field. I recently took the GRE after a pretty intensive focus on the quant. Unfortunately, effort was not reflected in my score (Q156). I was shooting for 75th percentile, which seemed like a good cut off point. At this point, I am not sure I want to re-endure the torture of the test, to try for extra 2-3 points in quant (I took GRE a little over year ago with minimal prep and received a Q155). Any ideas, suggestions, appreciated. Verbal is not a problem for me (V170) but sense I get is admcoms value quant scores much more for these programs. Hello, Please suggest me possible universities for my profile for MS IN CS fall 2014. It will majorly help me decide. working for Oracle Financial Services Software from august2013. 8.Android and windows phone app developer.published one application on respective platforms on Microsoft and Samsung official websites. 11. Working for an NGO which helps school students education. Hey Shivu! That’s quite a lot you’ve got going for you! I can’t recommend any universities in specific for you to go after, but rather offer some advice. Really think hard about what you want to do after grad school. “CS” isn’t specific enough. Life goals, ambitions, etc. Know all of that about yourself. Then start looking at CS programs (US News is a good place to start) in depth and you’ll see which program can get you where you want to go. I’d also check out the forums online, search for other people interested in the same area and you’ll find a wealth of information. Hope this helps! I am planning to do MS in top universities from us. I took my gre today, n got V-140 and Q-160 n now waiting for the A score. what do u think? should i try for the second attempt? or shud i send this score? Because i am taking my BTECH degree in civil engineering from the very prestigious college and even my cgpa is 8.01 out of 10 where topper is of 8.50. and many people say that for civil the competition is less. so shud i try with this score? I’m planning for MS in Aerospace Engineering. Took my GRE today and scored 310 (Q-158, V-152) awaiting the AW. Is it good enough to get into any of the top 10 colleges for fall 2014? and a CPGA of 9.24/10 of the first 3 years (one more year to go). Hi 🙂 I’m a student looking to apply to a masters program in political science. I took it one year ago and it’s time to decide to take it once more before I start applying to MA programs in the coming months. I scored a 156V, 155Q, and a 5 in the writing section. I feel like if I do take the time to write another exam, I feel the score I might obtain at best will only be marginally better. At the same time, I feel like it’s taking a risk because I may score lower than a 5 in the writing section. I feel like my scores are on the fence when it comes to the right course of action to take. Any advice? I am very interested in your feedback. I took the GRE last year and earned a 149 in Verbal, a 152 in Quant, and a 5.0 in AW. After months of studying long and hard (with numerous practice exams – including the ETS practice exam), I took the GRE again. I received the same exact scores – a 149 in Verbal, a 152 in Quant, and a 5.0 in AW. The test I took this year was after I spent many hours studying, and after I scored above 70th percentile in all categories on numerous practice exams (including the ETS practice tests). I had a decent undergraduate GPA of a 3.81, and I have two years of solid work experience (it will be three years when I begin a graduate program). I’m interested in applying to part-time business schools (all of the schools I’m looking at denote that they want their applicants to have a cumulative GRE score of 75th percentile or above). Do you think I should take the GRE again?! 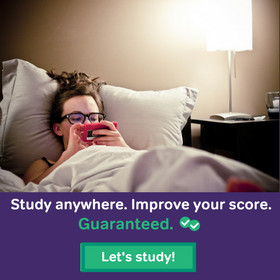 Or, is it not worth it since I received the same exact scores both times (without studying for the first time and with a lot of studying for the second time)? I am planning for admission in the Next spring (Jan 14). But i am not able to get any slots for writing the GRE Computer Based test before November. So , i wanted to know can i start applying to colleges now itself and send the scores later. Will that be considered like the normal process? Because if i apply in November, then it’d have already crossed the deadline for most of the colleges. Does this mean a perfect verbal score on the new GRE is considered less of an achievement compared to the old GRE, and a perfect quant score a greater achievement? Did the verbal section become easier and the quant harder? any good institution for MS so that after my degree completion I can easily get a job there? Beside this, I came to know about integrated PhD from other sources, which includes MS(1.5 yrs) + PhD (2.5 yrs) thus overall making 4yrs course and heard its easy to get scholarship in PhD programme as compared to MS. I am preferring for MS but if that can’t be done ( may be bcoz of financial lagging or academical results ) then I will go for the later i.e. PhD. Please guide me.